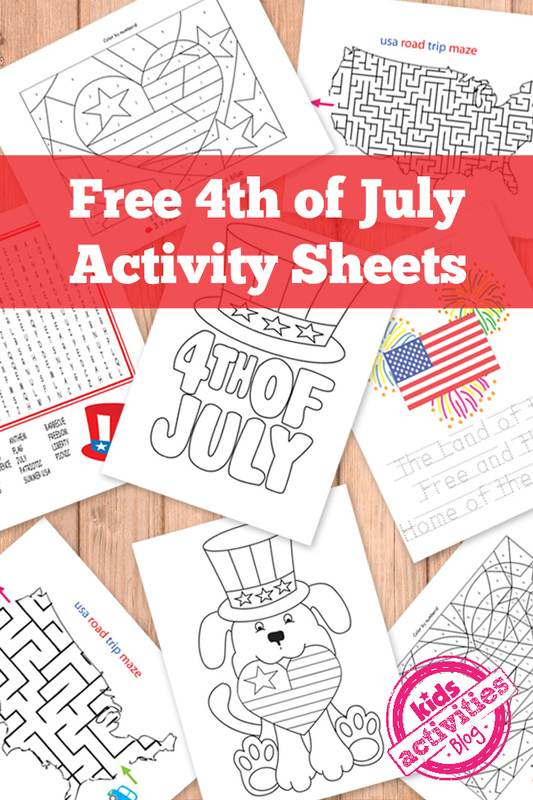 These 4th of July free activity printables will keep your kids busy while you prepare for celebration! They combine learning and fun! Kids will be solving puzzle mazes, word search puzzles and much more! So let’s have some fun with these activity sheets shall we? There are two sets to choose from! 4th of July coloring page. Easy USA road trip maze. Patriotic tracing letters activity sheet. Hard USA road trip maze. Independence day themed word search puzzle. Click to download and print: Easy 4th of July Printables. Click to download and print: Advanced 4th of July Printables. If you want to add some fun math to the mix little bunny math activity printables are more than perfect. If you think your kid would love more letter tracing practice then weather coloring pages with abc tracing will hit the spot. Check out these American flag crafts, and this toilet paper roll flag bunting for more fourth of July fun!